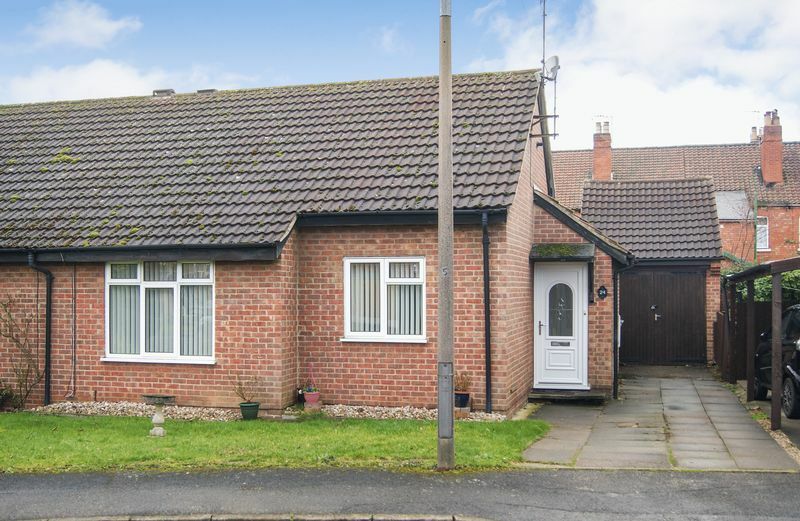 A well presented two bedroom semi detached bungalow situated at the head of this quiet cul de sac a short distance from Newark town centre. In addition to the two bedrooms, the property has an excellent sized lounge, well fitted kitchen and bathroom, and a conservatory to the rear. There is off road parking and a detached garage. To the rear is a courtyard garden. 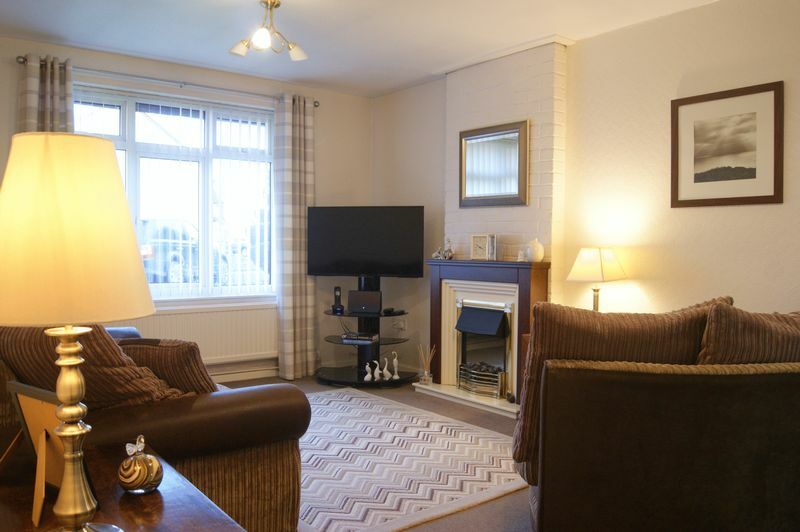 The property is predominantly double glazed and has gas central heating. Available for purchase with NO CHAIN. The entrance hallway provides access to the lounge, both bedrooms and the bathroom. 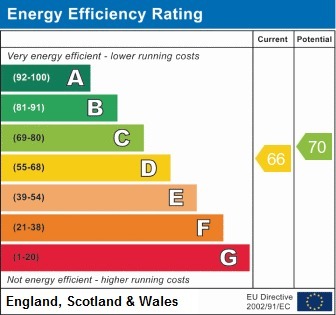 Access to the roof space is obtained from the hallway, and there is also a useful built in storage cupboard, a ceiling light point and a radiator installed. 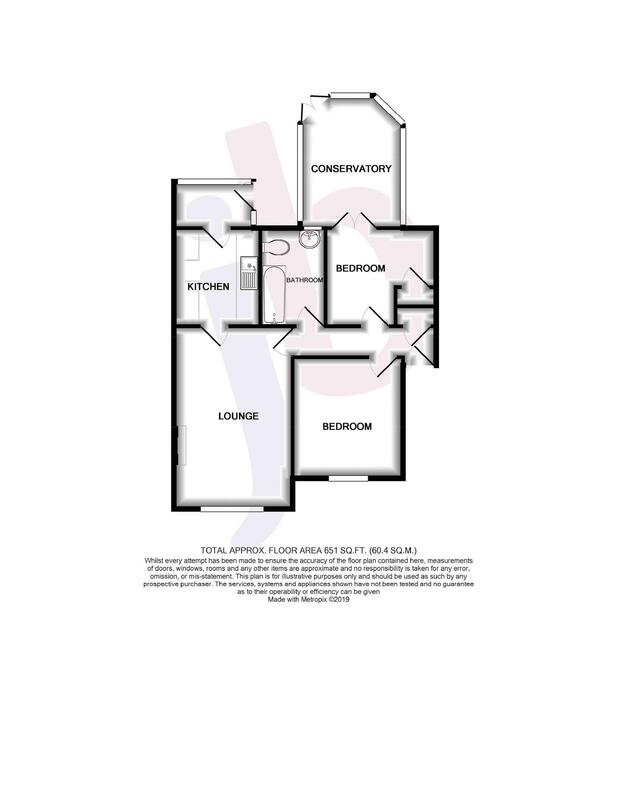 This excellent sized and well proportioned reception room has a window to the front elevation overlooking the garden, and a glazed door that leads through into the kitchen. 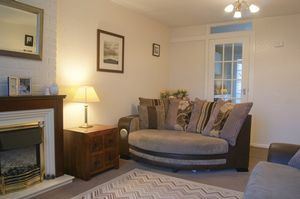 The focal point of the lounge is the fireplace with electric fire inset. The lounge also has two ceiling light points and a radiator. The kitchen has a glazed door leading into the rear porch, and a window that looks back through into the porch. The kitchen is fitted with a good range of base and wall units, including a display cabinet, with contrasting roll top work surfaces and tiled splash backs. 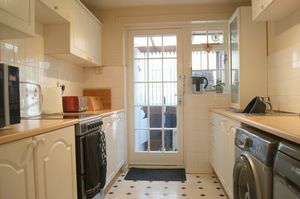 There is a stainless steel sink, space for a free standing electric cooker, and spaces and plumbing for both a washing machine and a dishwasher. The kitchen also has a ceiling light point. The rear porch is of timber construction and has windows to the rear and side elevations. A half glazed door provides access to the garden. The porch is equipped with power points and has bespoke fitted blinds. 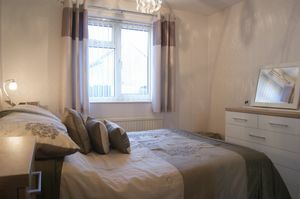 A double bedroom with a window to the front elevation, a ceiling light point and a radiator. 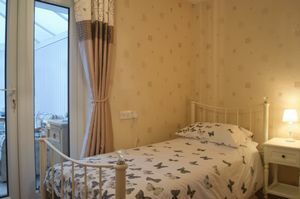 This 'L' shaped single bedroom has a useful fitted storage cupboard, a ceiling light point and a radiator. From bedroom two access is gained through to the conservatory via French doors. This good sized conservatory is of dwarf brick wall construction with a upvc frame. 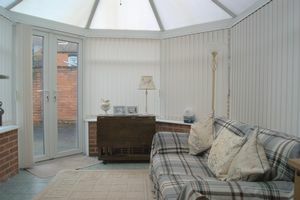 The conservatory is centrally heated making it ideal for all year round use, and is complemented with a ceramic tiled floor, a ceiling light and fan, a radiator and bespoke fitted blinds. From the conservatory there are French doors leading out to the courtyard garden. 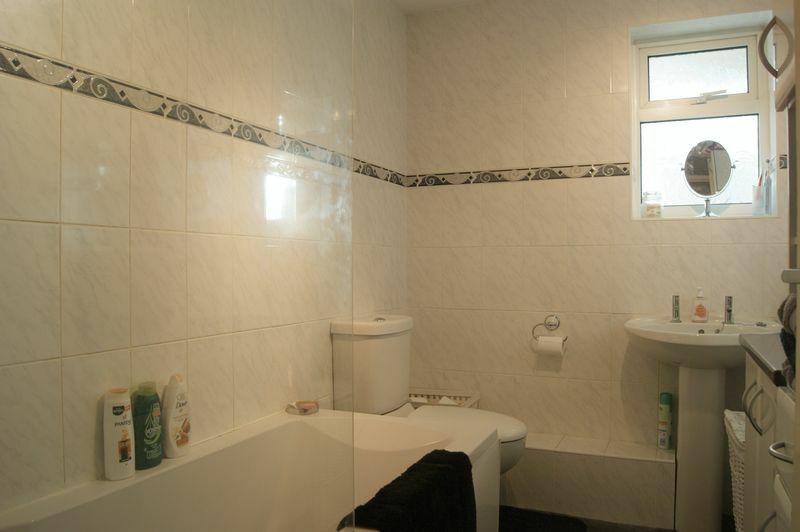 The bathroom has an opaque window to the rear elevation and is fitted with a white suite comprising bath with shower mixer tap attachment, pedestal wash hand basin and WC. The bathroom is complemented with ceramic wall tiling and also has a ceiling light point and a heated towel rail. 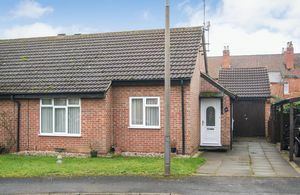 To the front of the property is a small and well maintained lawned garden, adjacent to which is the driveway which provides off road parking and in turn leads down to the garage. The rear garden is fully enclosed and comprises a two tiered patio area and a small deck adjacent to the conservatory. The garden is of low maintenance and provides an ideal outdoor seating and entertaining area. 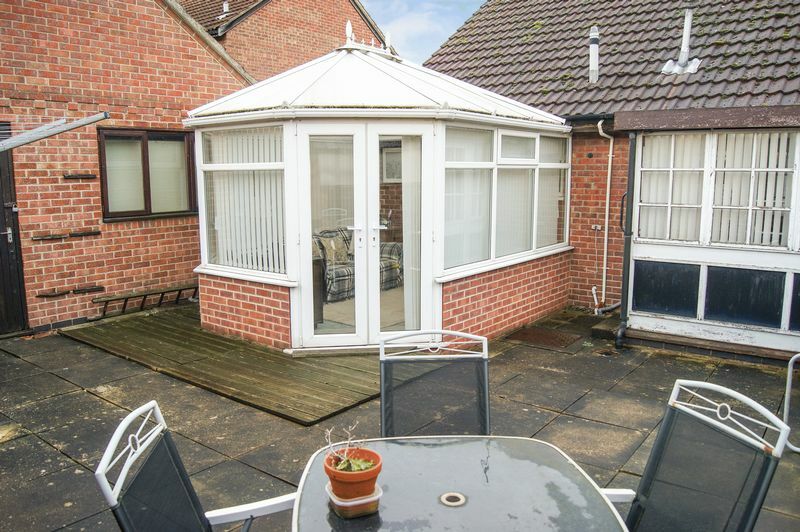 This excellent sized garage has twin wooden doors to the front elevation, two windows to the side and a personnel door that leads back into the courtyard garden. The garage is equipped with both power and lighting. The property is currently in Band B.